Having spent most of her career working in accounting firms, Natalie brings valuable experience as our office manager. Natalie is responsible for many areas of Human Resources, including employee benefits and payroll. 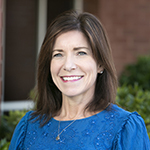 She also ensures everyone’s membership to the Virginia Society of Certified Public Accountants and American Institute of Certified Public Accountants and tracks and submits all CPAs’ Professional Continuing Education. Natalie manages our secure online Client Portal, and takes on the important task of processing tax returns. In her spare time, Natalie enjoys a variety of music and movies. She also enjoys painting, decorating, wine tasting, and spending time with her family and friends.